The biggest blow for PM Modi, who faces re-election early 2019, is that growth has slowed to levels last seen during his predecessor's administration. PM Modi invalidated 86% of currency last year, saying it was essential to combat graft and terrorism. Corruption, black money, terrorism, fake currency - Prime Minister Narendra Modi resolved to eliminate all in one stroke when he announced India's biggest-ever cash ban on November 8 last year. However, the short term costs of his move are outweighing the benefits. He invalidated 86 percent of currency in circulation, saying the move was essential to combat graft and terrorism, often funded with cash or counterfeit bills. He hasn't had much success, though the outlook has dimmed substantially for Asia's third-largest economy following the cash shock. The biggest blow for PM Modi, who faces re-election early 2019, is that growth has slowed to levels last seen during his predecessor's administration. India's previous government was criticized for massive corruption scandals and a policy paralysis, helping Mr Modi sweep to power in 2014 with the biggest mandate in three decades. "The process of curbing black money and corruption does not begin or end with demonetization," said Sonal Varma, chief India economist at Nomura Holdings Inc. in Singapore, using the local term for cash stashed away to avoid taxes. "Black money is held not just in cash but also real estate and gold." 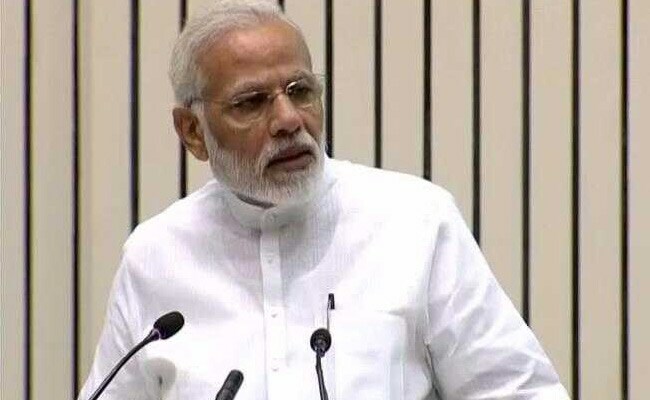 PM Modi had said the ban on 500- and 1,000-rupee notes was needed as these high-value bills helped "enemies from across the border run their operations." While the detection of counterfeit currency increased in the 12 months through June 30, it was still just 0.08 percent of total currency in circulation compared with 0.07 percent the previous year. More importantly, the Reserve Bank of India hasn't been able to protect its new notes from counterfeiters, as fake versions of the 2,000-rupee note announced Nov. 8, 2016, have been detected. Soon after the cash ban was announced last year, the government's counsel told the Supreme Court that about a third of the Rs 15.44 lakh crore of bills invalidated wouldn't be deposited into banks, implying that Indians would rather forfeit this money rather than risk detection. However, 99 percent of the notes have been returned. "As almost all cash withdrawn has been translated into a rise in bank deposits, one can question to what extent demonetization has really been effective in wiping out black money," Arjen van Dijkhuizen, senior economist with ABN Amro Bank NV in Amsterdam, said by email. Widening the tax base is probably where analysts are most optimistic about demonetization. The government has said it will scrutinize the deposits that have flowed into banks since the cash ban to detect any tax evaders. Success in widening the tax base would ease pressure on public finances in a nation where less than 5 percent file tax returns. "The exercise changed the public's perception of what the government can, and will do to root out corruption," said Shailesh Kumar, senior analyst for Asia at Eurasia Group. "In some ways PM Modi was rewarded for it, as he was seen taking on the issue of corruption which many believe is one of India's biggest problems." The gamble seemed to have paid off in the electorally important state of Uttar Pradesh, where PM Modi's Bharatiya Janata Party swept elections in March. However, growth has since slowed and there are rumblings of dissatisfaction going into elections in Mr Modi's home state of Gujarat next month. Opinion polls still call the vote for the BJP, and the party has said it will mark Nov. 8 - the anniversary of the decision - as anti-black money day every year. "It is clear that the short-term pains from these currency operations have been more concrete and visible than potential long-term gains, but that does not mean that there aren't any," said Dijkhuizen. A vanguard of digital payment providers have benefited from PM Modi's move. The biggest player is Paytm, backed by China's Alibaba Group Holding Ltd., which has seen its customer base surge since November. Demonetization also triggered record domestic inflows into mutual funds, which have gushed into the equity market and pushed the key indexes to multiple records. While overall digital transactions have dipped as cash returns to the economy, the government points to relatively lower levels of currency in circulation as a win. If it wasn't for demonetization, India would have had some Rs 18 lakh crore in high-value bills today -- instead it has Rs 12.5 lakh crore, Economic Affairs Secretary Subhash Garg estimates. "So the potential of storing black money is so much reduced. You are doing the same economic activity with the money in circulation," he said. Instances of stone pelting in the border areas of Jammu & Kashmir fell drastically after the cash ban but started rising again. While the period immediately after demonetization showed a dip in fatalities in insurgent violence, a direct link isn't clear.